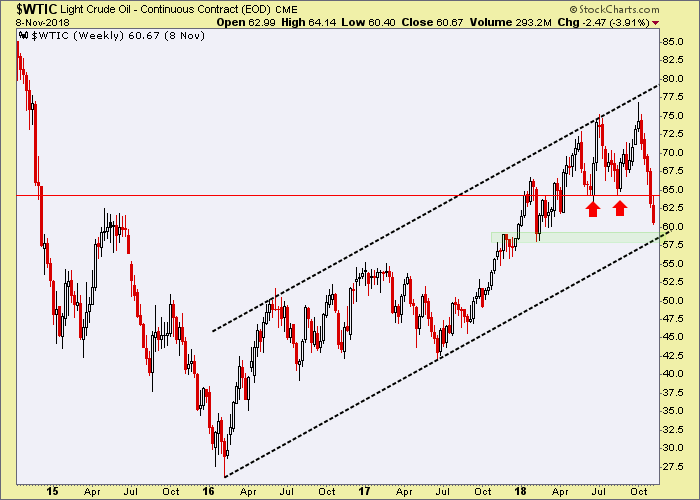 Here is oil’s weekly view. 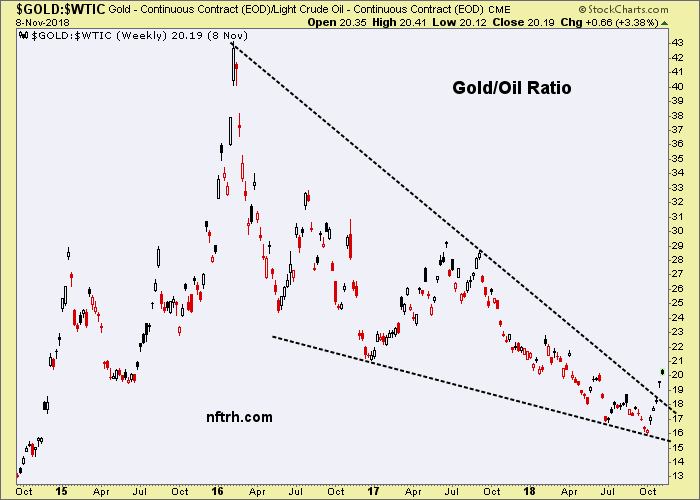 Key support was lost last week as noted in this article: Positive Implications for Gold Miners if Crude Oil Breaks Down. 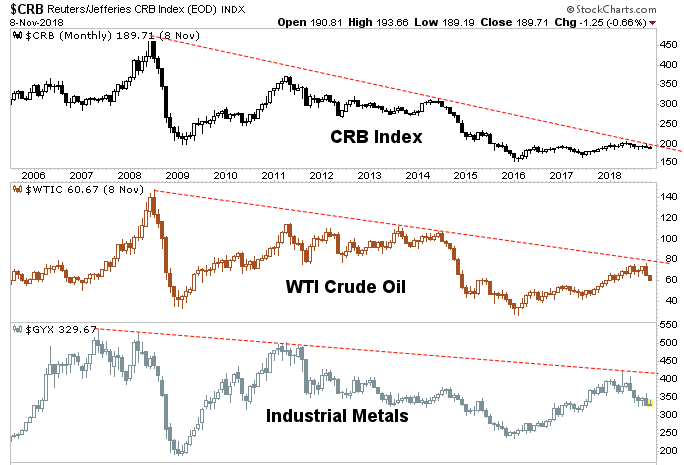 I expect currently oversold WTI to rally from the noted support area, but remain ‘not bullish’ on this cyclical commodity (and remain in scouting mode for the upcoming gold miner buying opportunity). As for the counter-cyclicality implied above, here are the views of the counter-cyclical metal vs. these cyclical items. 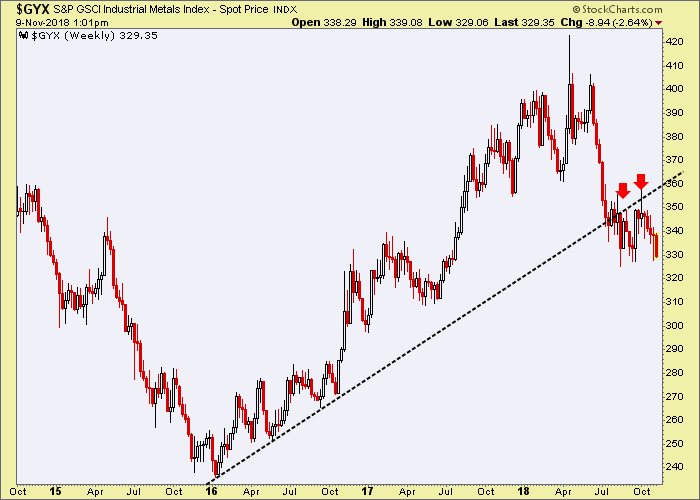 Gold/Oil has broken a long-term trend line. Sure, it’s early but a real move has to start somewhere. Again, reference the link above for the reasons this is important to the real investment case for gold mining. 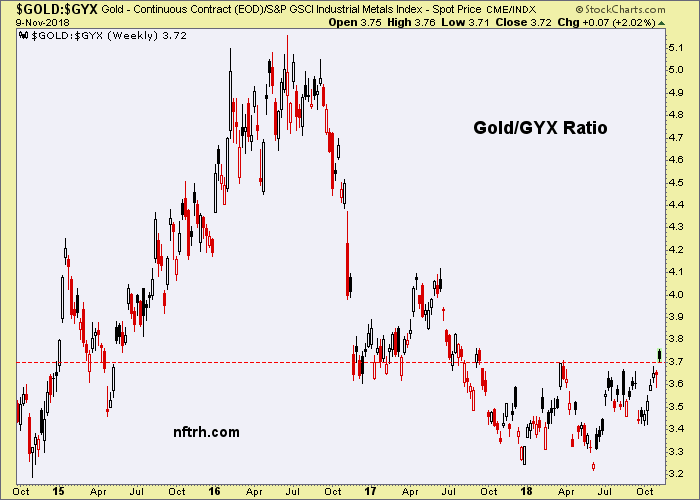 Along with the negative implications for risk ‘on’ markets and the economic cycle, the above will guide on the right buying environment for the counter-cyclical gold mining sector. Again, reference the link above for the details, which are beyond the scope of this post. It is time to be paying attention. The next 1-3 months are going to pivotal.